Have you been dealing with money without the help of a cash drawer Malaysia until now? Or maybe the one, which you are utilizing has gone old. Whatever the reason may be, and if you are searching for one, then it’s essential that you search for something, which will help you serve for a long time and could be tailored as per your requirements. Whether you’re into retail business or you deal with a huge number of cash, it’s essential to keep them safe always. 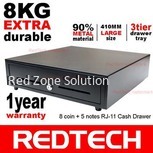 Here at RedZone, you will find a lot of choices, which you can choose from, you can go for the cash box Malaysia, which will help you get enough space for putting your books on to and has enough drawer at the bottom. On the other hand, you can also go for the flip top money box Malaysia, which will help you give an alternative of segregating your money so you have a simple access to them, this is the kind that the majority of retail store go for. Our website has been made to make it simple as possible for you to find the ideal cash machine Malaysia you want and point of sale equipment accessible to online shoppers in Malaysia. We are able to add new products on a regular basis. You can rest assured that all purchases made through on our site are secure. 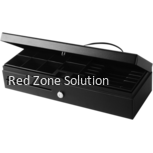 We know how cash drawers are being handled with utmost care in a lot of businesses. Its system controls the opening and closing of the cashbox, and thus not anyone can access. The cashier is the only person with the rights to open it. The material and locking system of our best cash drawer are made of high quality to guarantee no one can break into it. You can also keep the cash receipts through the help of the same, and make the work a lot easier. There are many options accessible for you, and if you like to have a closer look, all you are needed to do is to explore our website. Our online store will not just help you get the chance to see different designs of cash register drawer, but you can also look at the pros and cons of the type of cash register drawer, which you would want to go for. We understand that it’s not easy to keep on purchasing them or replace it when you are not happy with the one you got. Thus, it’s more vital that you make a decision after searching at all the options, which are accessible in front of you. We understand that cash drawers are one of the crucial components to your business. They might be one of the basic parts of your point of sale system, but ensuring you have the right locking cash box is a key. 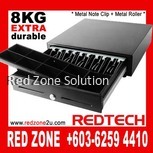 Here at RedZone, rest assured that we provide cash drawers, which are designed by flip top cash drawer & pos cash drawer supplier Malaysia for the most rugged environments and cash drawers, which are compatible with an Apple iPad.